Our first year as The Hive Cake Studio was filled with so much sweetness! We proudly opened our doors on March 7th, 2017 in our hometown of Amherst, ready to serve the best desserts our town has ever tasted. 365 days, countless new friends, and a multitude of new recipes later, we couldn't be happier to have quickly become a go-to Cleveland bakery for specialty birthday cakes, wedding cakes, and simple yet delicious everyday treats. We have a lot of exciting things up our buttercream-covered sleeves, and can't wait to share them with our amazing customers in our second year. Thank you for your continued support and business, Cleveland! MARCH 2017 - The Hive opens it's doors, located in Amherst on Route 58. Within our first month open, a cake of ours is featured on the popular blog 100 Layer Cakelet! JUNE 2017 - The start of our first wedding [cake] season! 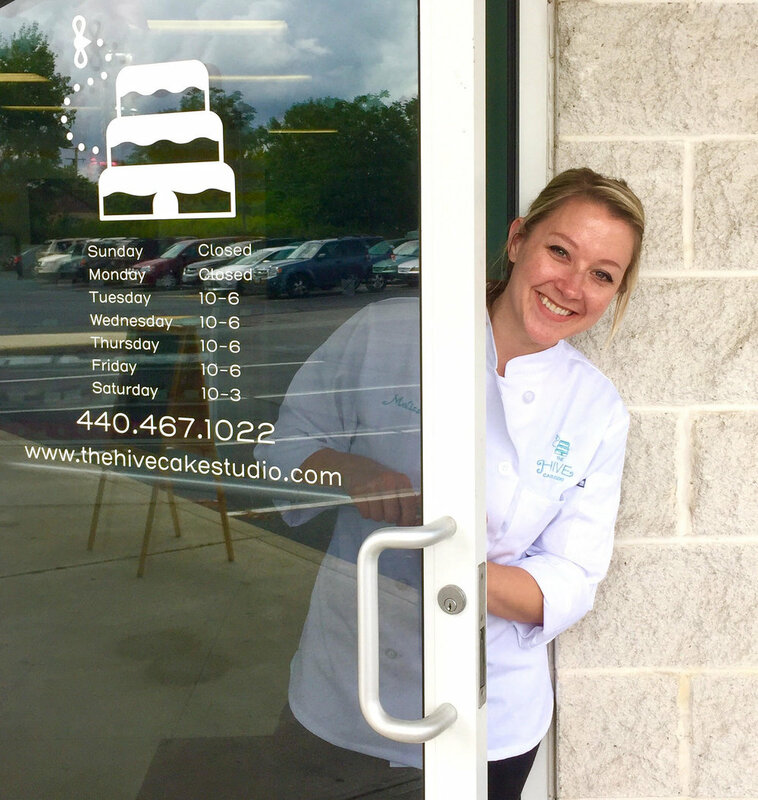 The Hive begins offering cake delivery for Cleveland brides. SEPTEMBER 2017 - Hive treats can now be found at numerous Cleveland businesses including Sibling Revelry Brewery in Westlake, and Radiant Bride in Rocky River. OCTOBER 2017 - The Hive hosts it's first children's cupcake decorating class, and our "Boo Boxes" fly off the shelves! DECEMBER 2017 - DIY Cookie Decorating Kits are a customer favorite!